Victorians used many flowers in their funeral practices. The body lay in state in the parlor of a home as long as four days, often without the benefit of being emblamed. To cover the odors, Victorians filled the parlor with flowers. Individual flowers were used, too, in the symbolism of death. For instance, the rose could represent love and beauty or the messianic hope that Christ would return. The lily of the valley could represent the tears of the Virgin Mary or the quality of innocence. The Easter lily symbolized the resurrection. 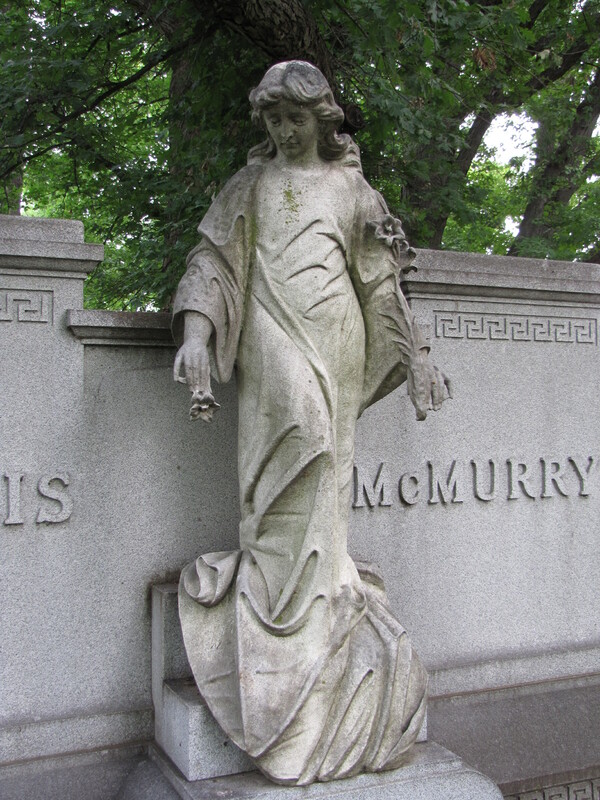 In the photograph above, the young female figure, head looking down in reflection and sorrow, is seen holding an Easter lily in one hand and gently dropping one of its flowers to the ground. This act is a recurring funerary motif designed to remind the viewer that life is short. Many of the Victorian funerary symbols expressed the transitory nature of life–how one could be strong and vital one day and dead the next–such as the broken column or the broken bud. 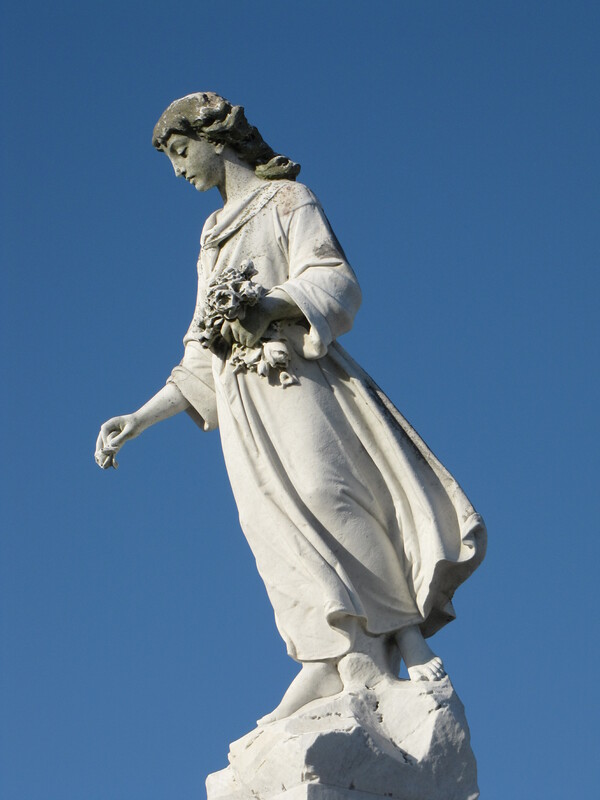 The sculpture of the young woman placing flowers on graves also recreates a tradition begun by the ancient Greeks and Romans that we practice to this day.